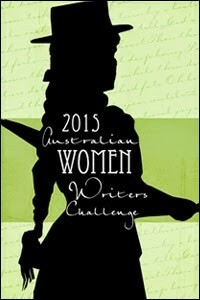 As per my last post, I will be participating in the 2015 Australian Women Writers Challenge this year. Anita Heiss’s Black Book Challenge has been of great assistance in finding books by Aboriginal or Torres Strait Islander authors (via Mindy). So, how am I going with my criteria? (1) There are no repeat authors. (2) I have not read any of these books before – or any books by any of these authors, in fact! ETA: Turns out I had read Every Secret Thing before. Oops! This is what happens when one is terrible at remembering book titles and then relies on blurbs which don’t actually provide much information. So I am enjoying the re-read, but I have substituted it for the challenge. (3) No repeat genres. I know I’m cutting it fine with a couple, but I think I’ve done pretty well here. (4) This is an ongoing criterion. (5) Mum Shirl was Black, of course. Dot Collard is Noongar, from Western Australia. Terri Janke has family connections to the Meriam and Wuthathi peoples (Torres Strait and Cape York respectively). Marie Munkara is of Rembarranga descent, from the NT. The contributors to Maralinga are from the Yalata and Oak Valley Communities. May O’Brien is a Wongatha woman from Western Australia and a member of the Stolen Generations, and it appears Sue Wyatt is also a Wongatha woman. Melissa Lucashenko is of mixed European and Goorie (Aboriginal) heritage. (6) Eileen Chong and Annie Hauxwell and Maxine Beneba Clark are first generation Australians. None of the others seem to be. The aim of this criterion is for cultural diversity. This time, I have looked for books by browsing Anita Heiss’s page (referred to above) and reviews from the 2014 AWW challenge instead of bookshop shelves, as I did last time. I found it not only difficult to find non-Anglo names (as per last year) but also difficult to find immigrant/first generation Australian authors. Once again, this is telling. (7) Several of the books by various Indigenous authors apparently have rural settings, so I think I have this one covered. (8) This is an ongoing criterion. But as I have all of the books reserved at my local library, I think I’m on track with this! As I was going through past AWW reviews to find books, I realised I had left out an important diversity category: disability! The Golden Age falls into this category, but I might not be able to get it in time. MumShirl: an autobiography might also get in here. I will be posting reviews here as well as on Goodreads, so stay tuned. When I have finished the challenge, I will re-post the list of books with a sentence or two about each one. If any of you have read, or will read, any of these books, I look forward to hearing your views, too. Just a final note: there were quite a few books I found and wanted to read which were not at my local library. I have put suggestions in for the library to purchase them, in part inspired by Anita Heiss’s suggestion (although I have not only requested Black authors). I bought Eileen Chong’s book because I was drawn to this review and I have my doubts about the local library purchasing a poetry book. We’ll see! I might purchase some of the others if I come across them, too. If you’re looking for first-gen Australian authors, and you haven’t read it already, can I recommend Laurinda by Alice Pung? I just finished it and it was marvellous. Butterfly Song is a bit hard to categorise I think. When I think of chick lit, or chock lit as Anita Heiss calls her novels, i think of girl meets boy/girl tries to avoid romantic entanglements novels. In Anita’s writing they are clever and funny as hell but still revolve around the personal relationships angle. Butterfly Song is much more than that. Perhaps literary fiction? Lauredhel: thanks! I think it is one I have on reserve, with your rec, I am now looking forward to it even more 🙂 I am trying to include new-to-me authors in the challenge as much as I can, so I probably won’t include her for that unless I have to do some shuffling in the event one of the other books doesn’t turn up. Mindy: thanks, I’ll fix it – the blurb I read seemed pretty strong on the romance side but I couldn’t really tell. Sorry Jo I didn’t mean that as a criticism. There is a romance angle to the book, but it sounds a bit like the blurb sells it a bit short. Not taken as such! 🙂 I wasn’t entirely sure and I’m glad to get it right. So, um, oops – turns out I have read the only book I have actually laid my hands on so far: Every Secret Thing. I will probably read Mullumbimby as well. Mullumbimby is absolutely amazing. Stellar. And another change – Busted Out Laughing is not available after all, so I am replacing it with Maxine Beneba Clark’s Foreign Soil. Just started on Laurinda. Loving it so far.